'O, Write My Name'. American Portraits, Harlem Heroes. Photographs by Carl Van Vechten. Introduction by Darryl Pinckney. Eakins Press Foundation, 2015. In English. 136 pp., 7½x10x¾". 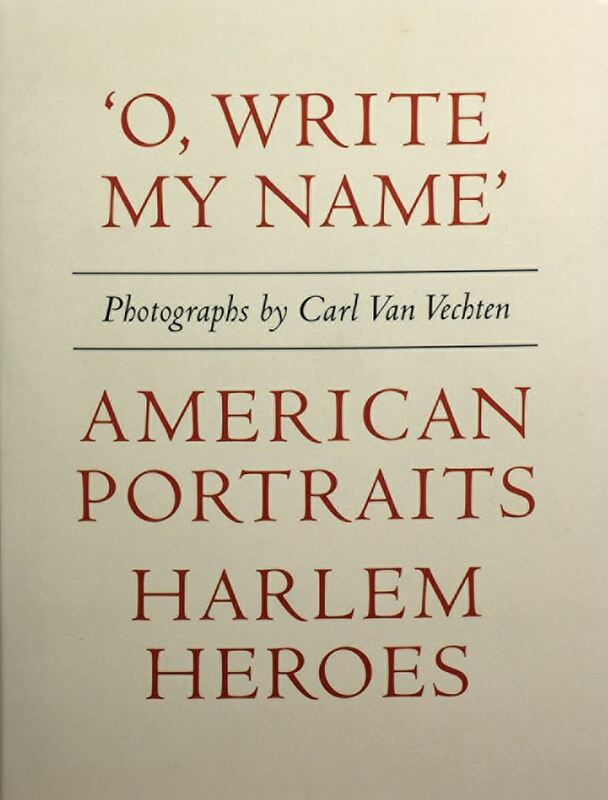 'O, Write My Name': American Portraits, Harlem Heroes presents us with portraits of fifty extraordinary people who participated in the great cultural movement that was the Harlem Renaissance. This collection by the photographer, critic and novelist Carl Van Vechten is a celebration of these inimitable writers, actors, musicians, painters, athletes and intellectuals as well as an acknowledgment of their unprecedented contribution to American art and culture. Van Vechten s friendship with his subjects is reflected in the intimate nature of these portraits. With an insightful introduction by Darryl Pinckney, this book is an homage to the African American men and women from the Harlem Renaissance who continue to inspire generations.